All texts are taken from the New International Version of the Bible unless otherwise stated. In October 2018, we published an article in Spectrum magazine called “The Zion Effect” that addresses race relations in white Seventh-day Adventist circles. In many ways, that perspective of the issue was easier for us to discuss because we are not members of that racial community. But because Christianity compels those who believe to look inward and give God access to the darkest areas of their hearts, we will discuss race relations in black SDA circles in this article. Self-examination is an uncomfortable and sobering process, but it leads to victory. This isn’t about the organizational structure of the SDA church, regional conferences or state conferences. It’s about how black SDA members should respond to racism in Adventism. In the following two-part article series, we discuss how to acknowledge our past, forgive while holding accountable, and reconcile to form a more unified, more Christlike SDA family that can do the final work this world needs. The SDA church has traditionally followed the patterns of American racism without much push back. As a result, black SDAs have been victims of racism both inside and outside the church for decades. However, race relations is not a white issue; it’s a sin issue, and sin touches all of us. Race relations in the SDA church suffer because both black and white SDAs have prejudicial views; there is anger, fear, and resentment on both sides. But the issue we face is a real issue, regardless of who started it and who has done the most damage. In Job 1, we see the devil presenting evidence of the wickedness of humanity to God. The Bible describes Satan as an investigator, and he searches for evidence of sin in our lives to present to God. His goal has always been to separate us from our God. The longer we wait to address race relations, the more evidence we give the devil to use against us. In other words, when we allow racial rifts to dictate our present and future, the devil is happy about it. If we are to be a community of Christian believers, all members of the SDA church must face the issue that plagues the group and take prayerful, urgent steps toward reconciliation. The Bible charges blacks to raise the issue of racism with our white brothers, even though we didn’t start it. The biblical model for resolving problems is for the offended to bring complaints to the offender in Jesus’ name. Matthew 18:15 states, “If your brother or sister sins, go and point out their fault, just between the two of you. If they listen to you, you have won them over.” The Bible is clear: when we see that they have done wrong, we are to begin the process of reconciliation. The fact that they have wronged us does not permit us to separate ourselves from them; in fact, as followers of Christ, it is our responsibility to be intentional about uniting with those who have wronged us. In teaching us to pray, Jesus states, “For if you forgive other people when they sin against you, your heavenly Father will also forgive you. But if you do not forgive others their sins, your Father will not forgive your sins.” Oswald Chambers calls this the “go” of reconciliation: even though we have every right to harbor resentment, that does not resemble the character or heart of Christ. “It is not a matter of your rights. The true mark of the saint is that he can waive his own rights and obey the Lord Jesus.” This is the absurdity of Christianity: we can’t do what we want, even when we have a right to and when we think it’s justified. If we as SDAs are going to be who we say we are, we have to follow the example of Jesus Christ. The Man who forgave everyone. The Man who healed everyone. Matthew 9:35 says, “Jesus went through all the towns and villages, teaching in their synagogues, proclaiming the good news of the kingdom and healing every disease and sickness” (emphasis added). Jesus forgave His killers as they were plotting against Him because Christlike forgiveness doesn’t even need a request. To forgive like Christ is to forgive before a request, or in spite of the absence of a request; and Christlike forgiveness leads the perpetrator of evil to the humility necessary to make the request. This is the standard to which we are called as Christians, and it is important to understand. The physical presence of Jesus generated division simply because light and darkness cannot exist in the same place, and “men loved darkness rather than light.” Jesus’ actions, however, healed all fractures. With Jesus around, your heart is stripped of all pretense, and your true desires are revealed. If we really want Jesus and what He stands for, we merely have to come to His presence and open our mouths in request, and He sends healing ahead of us. In 1963, James Baldwin published an essay reflecting on race relations in the United States called “My Dungeon Shook: Letter to My Nephew on the 100th Anniversary of the Emancipation.” In it, Baldwin describes the racial reality in the United States and outlines solutions to the problem. Notably, Baldwin, who is writing to a black audience, refers to the white perpetrators of the crime of racism as “my countrymen” and “my brothers.” Baldwin suggests that we begin with acceptance: “There is no reason for you to try to become like white people and there is no basis whatever for their impertinent assumption that they must accept you. The really terrible thing… is that you must accept them. And I mean that very seriously. You must accept them and accept them with love. For these innocent people have no other hope.” In order to move past this issue, we must first release whites from the guilt of their wrongdoing, despite the fact that it is ongoing in many instances. We cannot approach our brothers and sisters in Christ lovingly if we actively harbor resentment toward them. We must do as Jesus did and release them from guilt while they are persecuting us. Many SDAs would probably reject Baldwin’s essay because he was a non-Christian who made some questionable lifestyle choices. Would God have the audacity to use such a person to communicate to a Christian community? But Baldwin’s ideas in this essay still ring true today, and they reflect the Gospel of Jesus: reconciliation must begin with me and with you. We must give up our personal rights in order to begin spiritual healing. Again from Oswald Chambers: “condemnation comes when I realize that Jesus Christ came to deliver me from [the] heredity of sin, and yet I refuse to let Him do so. From that moment I begin to get the seal of damnation.” For some of us, harboring resentment toward those who are racist is our favorite sin to protect because we have a right to protect it. Indeed, being angry about injustice is not sinful; it is sinful to be only angry about injustice, and then to do nothing about injustice because of our anger. Some of us experience racism (explicit or implicit) in some way from the moment we step out of our homes in the morning to the moment we enter back into them at night, and it’s not just during the week. Being able to blame someone else for the way we’re treated is a comfort; it helps us get through the day, and it gives us a legitimate reason to be angry and frustrated. But what is it doing to our souls and spiritual lives? And what is it doing to our personal interactions and families? Some of us are trading our places in heaven and our seats by Christ for our personal rights down here. We are suggesting we use the Bible as a roadmap, not only for emotional healing, but also for reconciliation between white and black Christians. Generally speaking, both groups are settled in a comfortable position as it relates to race relations in our church: “separate but equal” works to appease all of us. Blacks are comfortable holding on to our justified anger. Whites are comfortable ignoring the issue altogether. And both are wrong because we claim to be one church under Christ, who is the great Uniter of all things. The problem is great, but our Lord is greater. In Part 2 we will outline some biblical solutions that can help the SDA church truly seek reconciliation between races. Bedney, Donald L. “The Dissolution of Regional Conferences: Another Perspective.” Spectrum, March 20, 2017. Lehmann, Claire. “The Evils of Cultural Appropriation.” Tablet Magazine, 11 June 2018. Nixon II, John. “God's New Thing.” Divine Worship, June 30, 2018, Takoma Park, Takoma Park SDA Church. White, Ellen Gould. Darkness Before Dawn. Nampa, ID: Pacific Press Publishing Association, 1997, pp. 5.1-5.3. Chambers, Oswald. My Utmost for His Highest. “The ‘Go’ of Reconciliation.” September 26. Baldwin, James. The Fire Next Time. “My Dungeon Shook: Letter to My Nephew on the 100th Anniversary of the Emancipation.” Dial Press, 1963. Chambers, Oswald. My Utmost for His Highest. “The Nature of Degeneration.” October 5. Clarise Nixon is a Cultural Intelligence certified Assistant Professor in the English Department at Southern Adventist University. She enjoys cooking and working as an amateur food critic. Paul Nixon is the Founder and CEO of Virtual VP, a new education consulting firm that provides support services to busy school administrators and teachers. He also writes success tips for teachers, administrators, and parents at his blog found at www.virtualviceprincipal.com. 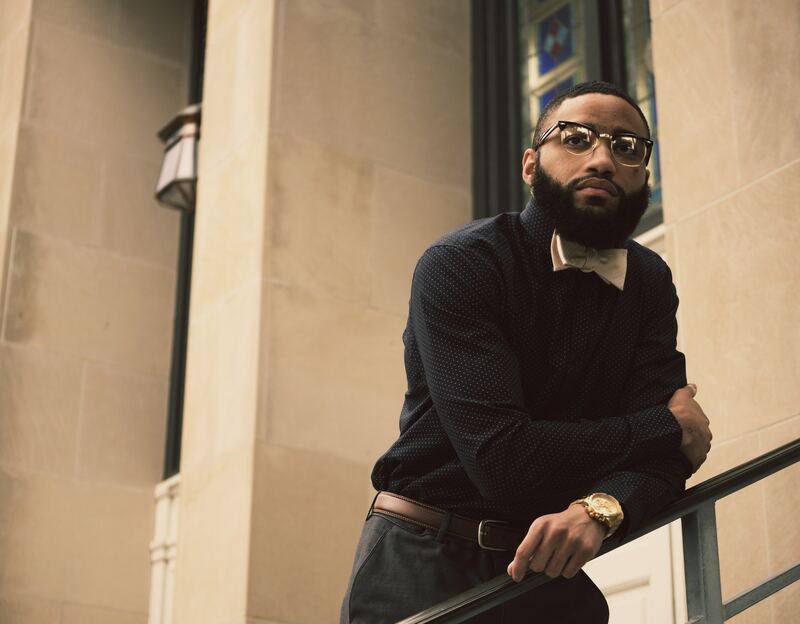 He stays connected to the profession by teaching part time at Oakwood Adventist Academy and Oakwood University.